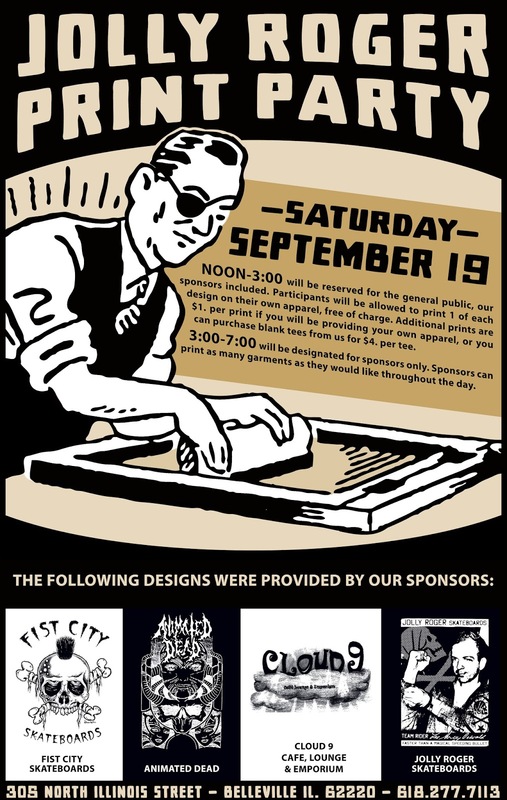 Stop by our Print Party that will be going down on SATURDAY, SEPTEMBER 19th. 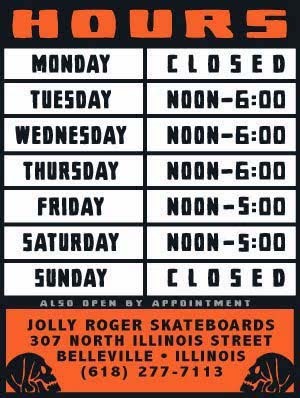 Come on out and bring your own apparel and you will have 4 different designs (by Fist City Skateboards, Animated Dead, Cloud 9 Cafe and Jolly Roger Skateboards) to choose from. You will be able to print one of each design for FREE, anything after 4 prints will cost $1. per print if you are using your own apparel. 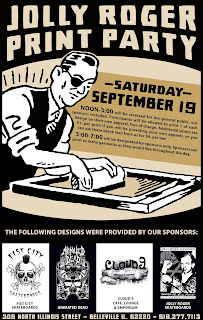 Or, we will have a limited supply of new blank tees on hand for $4. per tee.